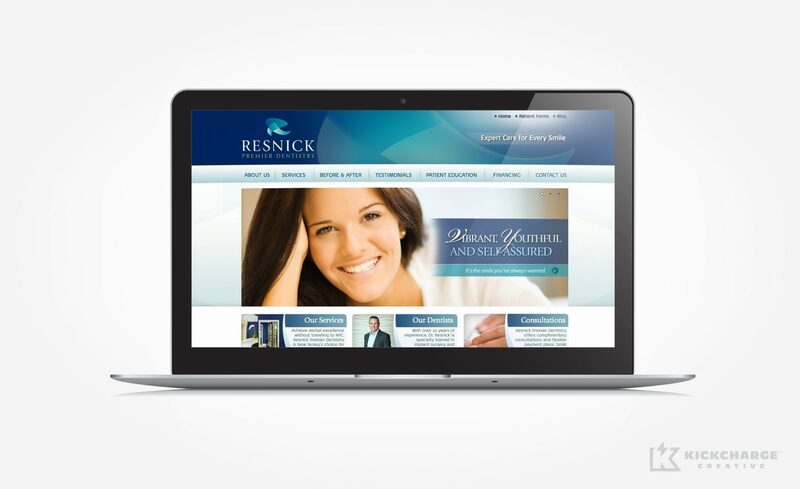 Resnick Premier Dentistry contacted us when it was time for a fresh brand and online presence. We were excited about the project because the dental office was far from ordinary, and dispelled the negative dental myths we’ve all become accustomed to. From their state-of-the-art environment to their personable dental approach, Resnick Premier Dentistry is in a league of its own—so we were honored to create an image that matched their unparalleled service. It was critical that the new brand identity convey progression, expertise—and comfort. The new practice name, tagline and logo played critical roles in communicating these inherent characteristics. The name Resnick Premier Dentistry, and the icon within the logo, were established to show the forward-thinking innovation that Dr. Resnick and his team integrate into their service model. The color scheme represents a soothing, relaxing experience that greatly resonates with what patients experience in this Franklin Lakes dental office. And finally, the logo typography, in conjunction with the new tagline—Expert Care for Every Smile—reinforced the dental office’s credibility, expertise and value proposition. Once we nailed down the new brand identity, we integrated it throughout the stationery, web site and two micro-sites for veneers and implants. 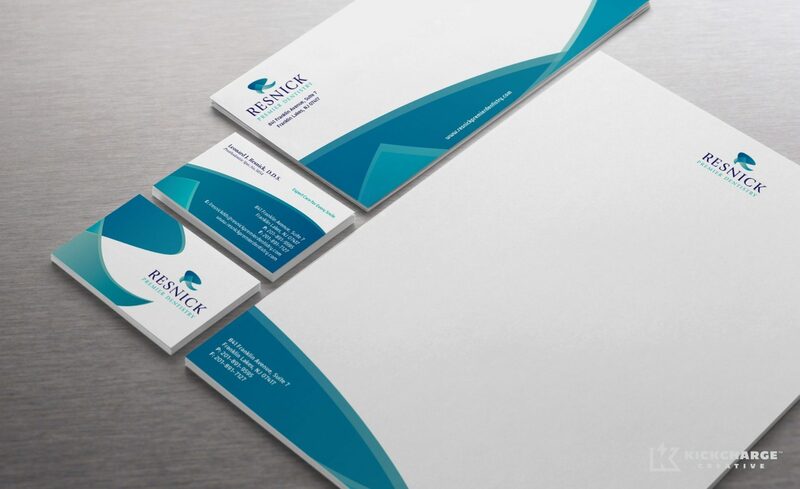 These marketing platforms bring the brand to life and help tell the story of Resnick Premier Dentistry. It’s always a pleasure to provide an industry leader with the proper tools to better market their unique service offerings, and it’s always easy to make a company look good when they really are good.